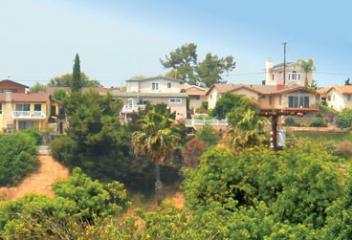 Clairemont is a centrally located community in San Diego. Just south of UC are Bay Park and Linda Vista, just west is PB, just north is University City, and just east is Kearny Mesa. Clairemont has numerous areas with shopping and dining options. Where Gennessee meets Balboa Ave (and just north of that) are a Target, Home Depot, Panera Bread, Native Foods, and much more. Clairemont also has “Clairemont Towne Square,” with a movie theater, home improvement store, Petco, Big Lots, Outback, etc. Clairemont is a suburban neighborhood, with lots of houses and condos. It is slightly less expensive than its neighbor, University City, making it a great option for those wanting to be in the middle of the city at a slightly lower price point. Clairemont is very centrally located in relation to the rest of San Diego. It only takes about 8-10 minutes to get to La Jolla and the beach. I would recommend driving through Clairemont to see if this part of town might be a good fit for you.